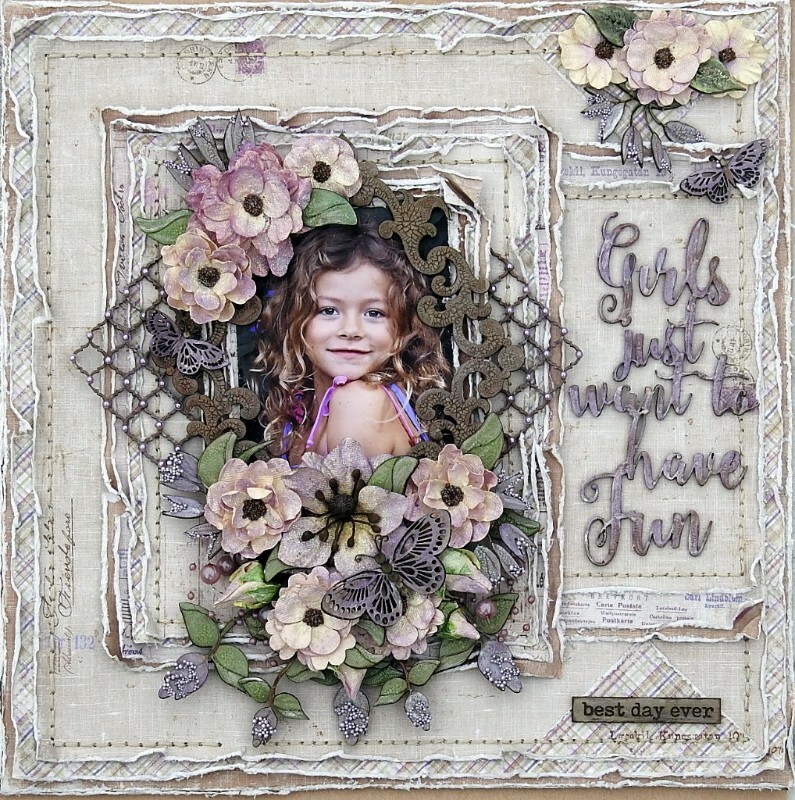 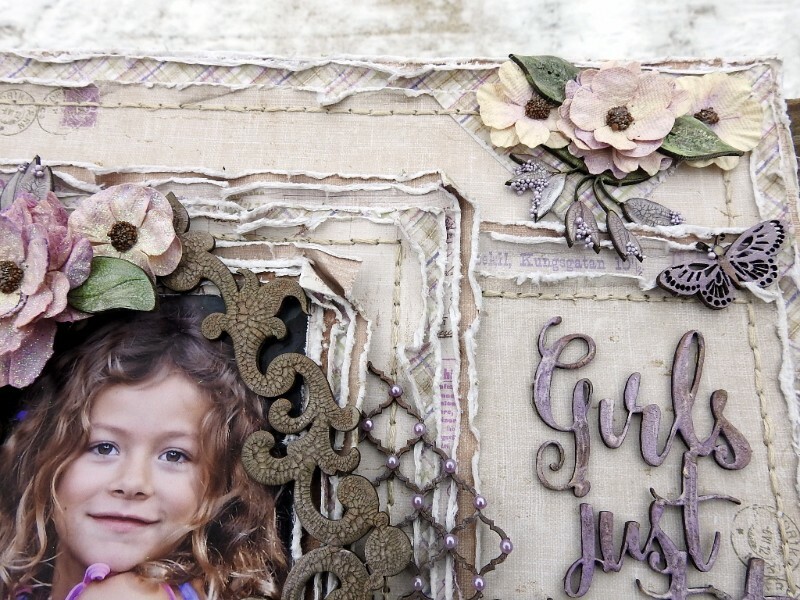 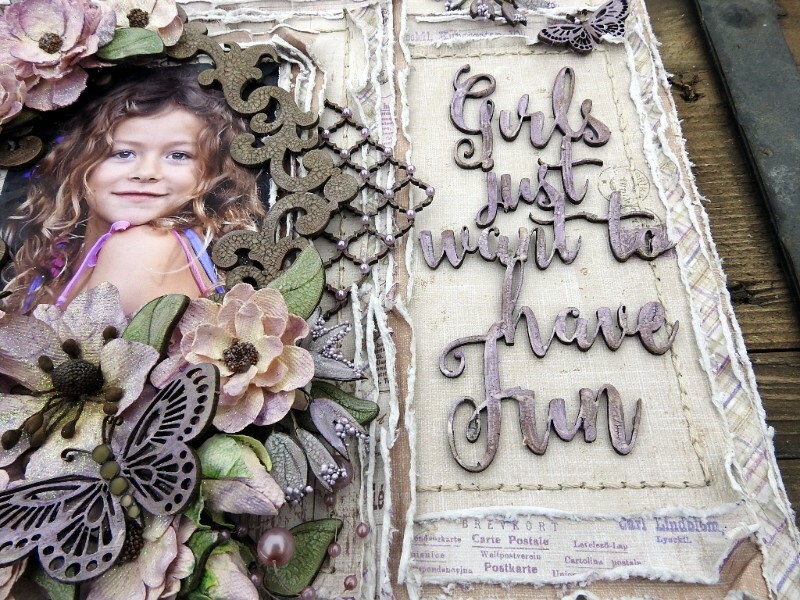 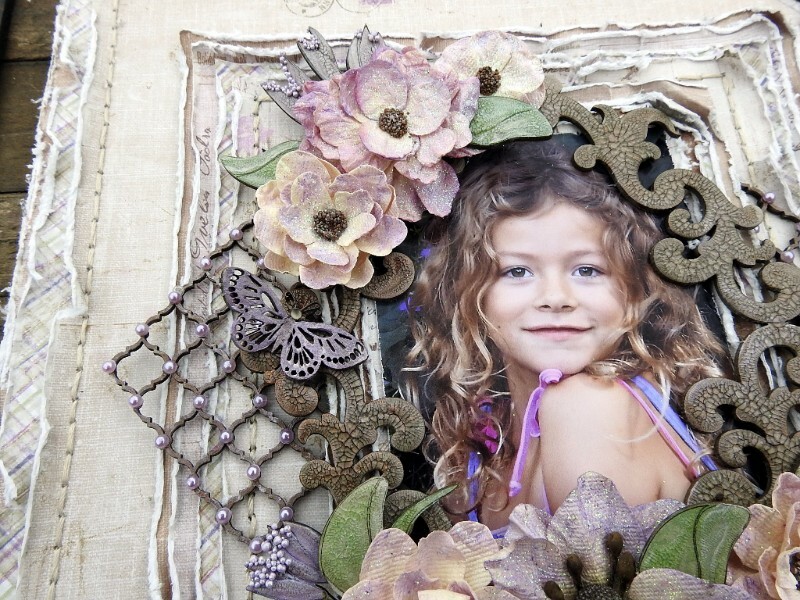 Other Elements used: 49 and Market: Shimmer and Shine, Lilac Melange, Lilac Jardin Secret, Lilac Fleur Des Champs, Dusty Attic Chipboard: Ornate Frame #6, Tropical Foliage #4, Tropical Foliage #5, Mini Marrakesh Trellis, Flutterbies #3, Girls just want to have fun, Wordpl@y #3…. 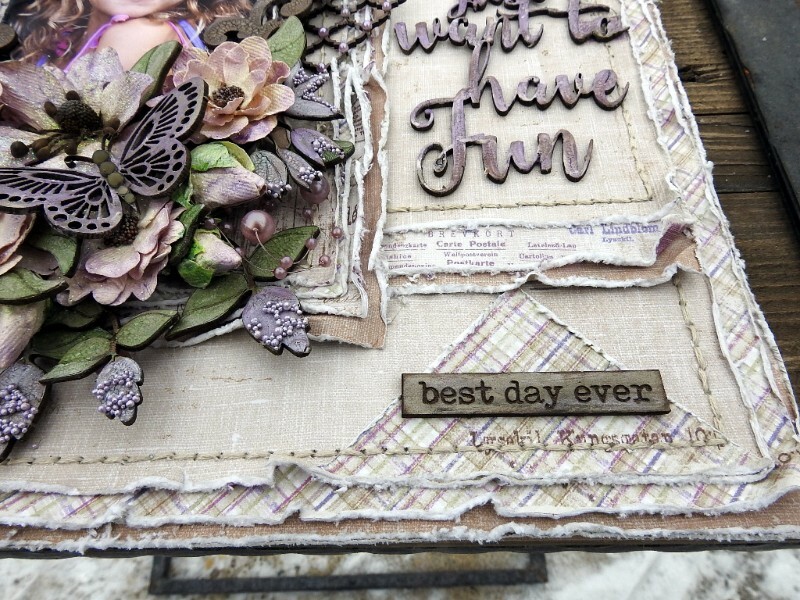 Here are some close ups…..
Shows many distressed, hand stitched paper layers. 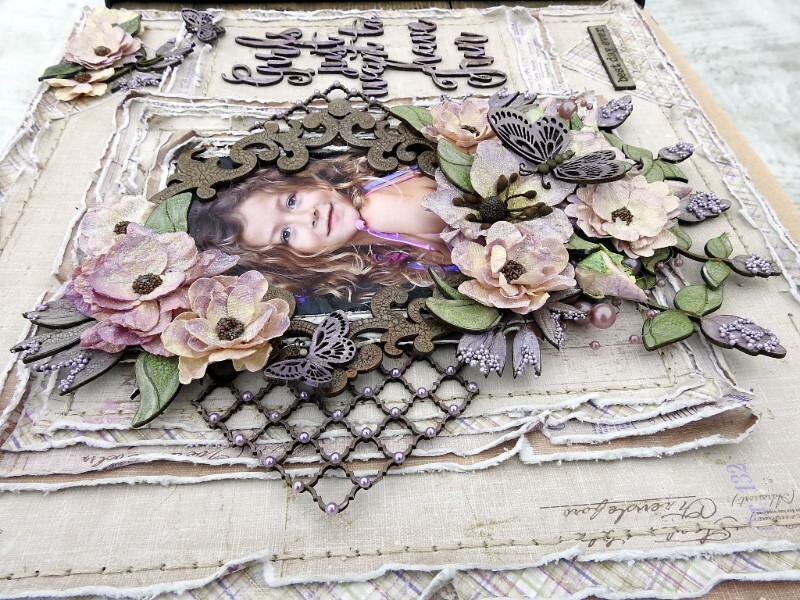 The Maja Papers are the softest, best distressing papers I have ever worked with, plus they blend so well…. 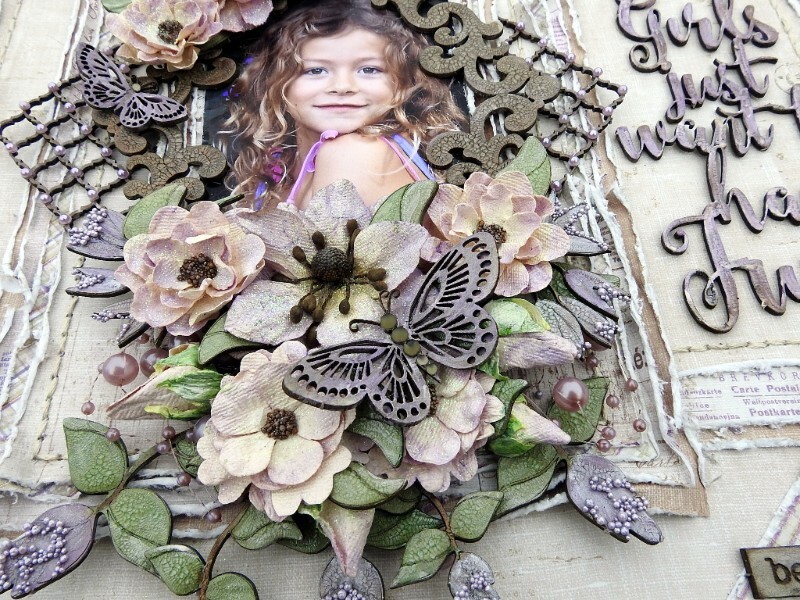 Here are a few more close ups..
Really beautiful LO here, that is filled with gorgeous details all over it. 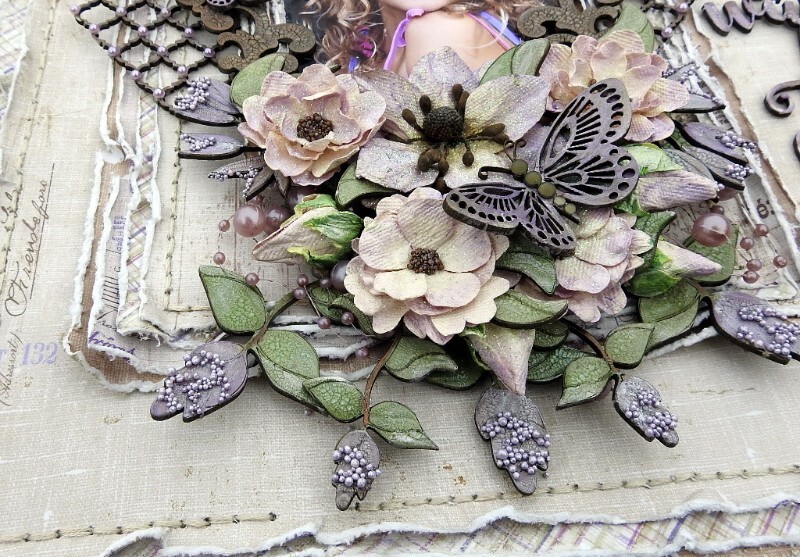 Love the structure, that hyou´ve got into this here in both the flowers and the papers and everything, it really looks amazing and sooo beautiful.